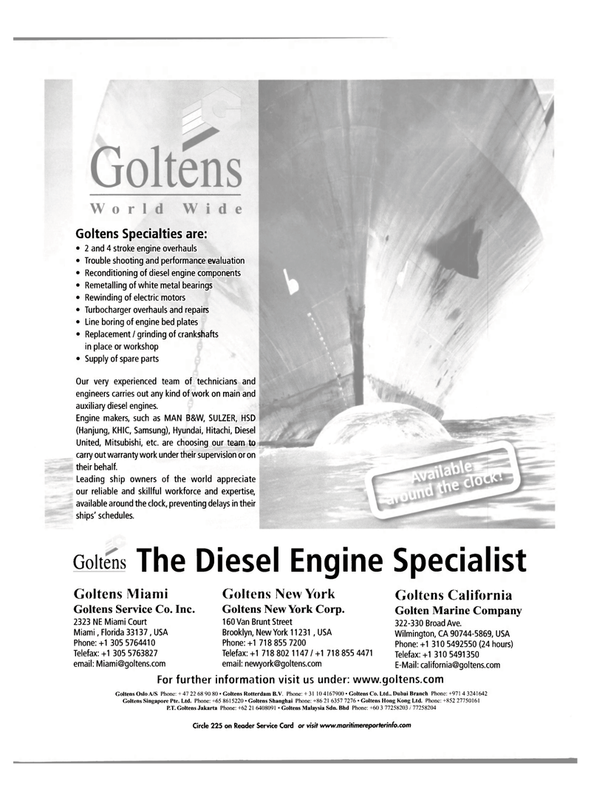 Golten Marine Company 322-330 Broad Ave.
Our very experienced team of technicians and engineers carries out any kind of work on main and auxiliary diesel engines. United, Mitsubishi, etc. are choosing our team to carry out warranty work under their supervision or on their behalf. Leading ship owners of the world appreciate our reliable and skillful workforce and expertise, available around the clock, preventing delays in their ships' schedules.